ONI Bureau: Odisha Chief Minister Naveen Patnaik today rolled out transfer of funds to beneficiaries under the Krushak Assistance for Livelihood and Income Augmentation (KALIA) scheme during a farmers’ convention in Puri today. 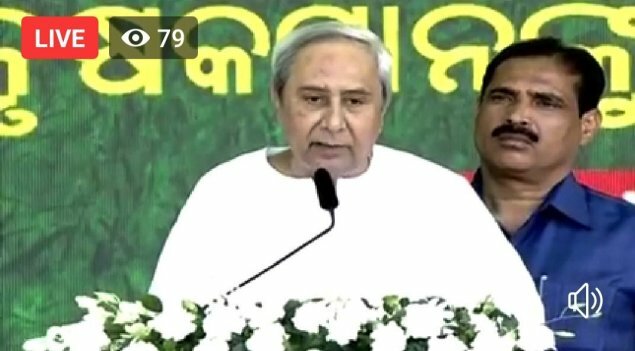 While addressing a massive rally the Chief Minister said farmers under KALIA scheme will get Rs 5000 on the day of Akshaya Trutiya for Kharif crop & Rs 5000 for Rabi crop on Nuakhai. While, the state government will provide financial assistance of Rs 25,000 to each beneficiary in five phases under the State Government’s flagship scheme for farmers, around 12.45 lakh beneficiaries will get their money credited directly to their respective bank accounts on January 26 on the first phase. KALIA scheme for farmers will provide financial aid to 92% of farmers including small farmers, marginal farmers, sharecroppers and landless people. The scheme aims to provide interest-free crop loans, Rs 5, 000 for each farmer, livelihood assistance of Rs 12, 500 to each landless family and Rs 2 lakh insurance cover for each farmer. Thousands of farmers from 314 blocks of Odisha have visited Malatipatpur at the outskirts of the pilgrim city to witness launch of the KALIA scheme today.